Birdseye Maple Top, Alder Core with alternating Roasted Ash and Flame Maple layers and veneers, Flame Maple back. Flame Maple neck, Gaboon Ebony fretboard. Flame Maple cavity cover. Birdseye maple topped ramp with maple core and Ebony and Maple veneer accents. Nordstrand Big Singles, passive. Hipshot B bridge and Ultralites. Dunlop Dual Design Straplocks. Ebony nut. Hipshot string retainer. Chrysocolla emblem. Swamp Ash body. Oak neck. Rosewood Fretboard. Hipshot B bridge, String Retainer and Ultralite tuners. Nordstrand Big Split Pickups. Passive. Noble Pots, Switchcraft jack, Orange Drop cap. Dunlop Dual Design Straplocks. Peridot emblem. Bone nut. High quality tuners and string tree. Hand engraved emblem. Walnut top. Poplar core. Flame Maple neck. Rosewood fretboard. Hipshot Vintage bridge, String Retainer and Ultralites. Dunlop Dual Design Straplocks. Nordstrand NP4A and NJ4SV pickups. Passive. Noble Pots, Switchcraft Jack, Orange Drop cap. Bone nut. Chrysocolla emblem. Walnut control cavity cover. 34” scale. 19 mm string spacing. 2 piece swamp ash body. Maple neck. Cocobolo fingerboard. 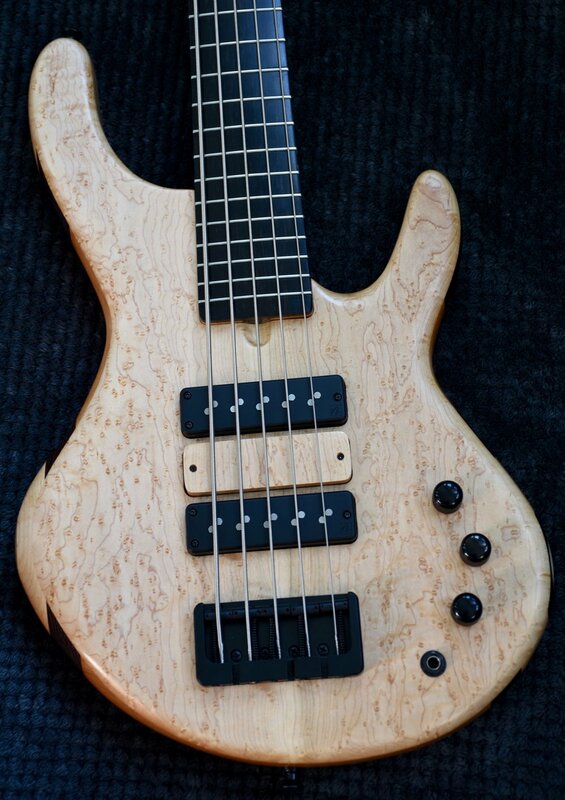 Nordstrand MM 5.2 pickup. Passive. Hipshot B bridge and Ultralites. Dunlop Dual Design Straplocks. Tapewound strings. Ebony nut. 33" scale. 18mm string spacing. Hand contoured and finished. 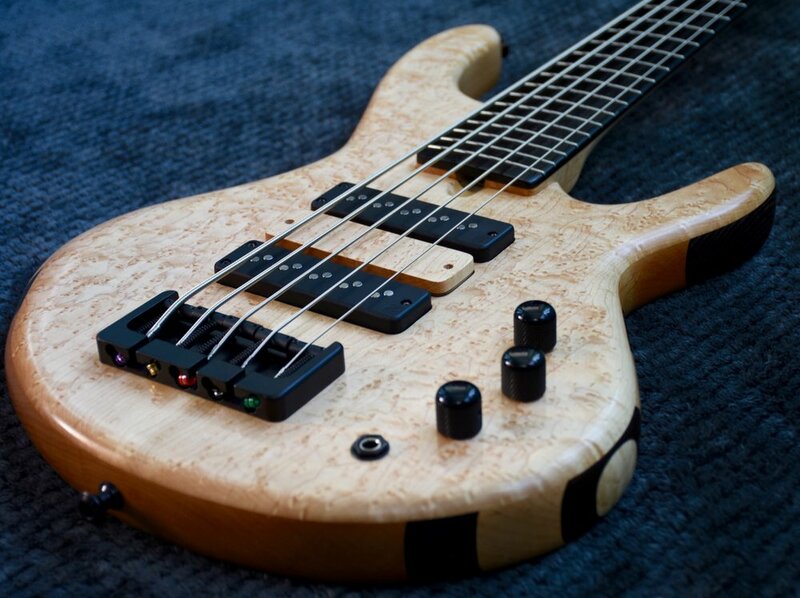 Lightweight Swamp Ash. Thick Flamed Maple Top. Black veneer accent. 1 pc Cherry body. Maple neck. 24 fret Rosewood fretboard. Hipshot B Bridge and Ultralite tuners. Dunlop Dual Design Straplocks. 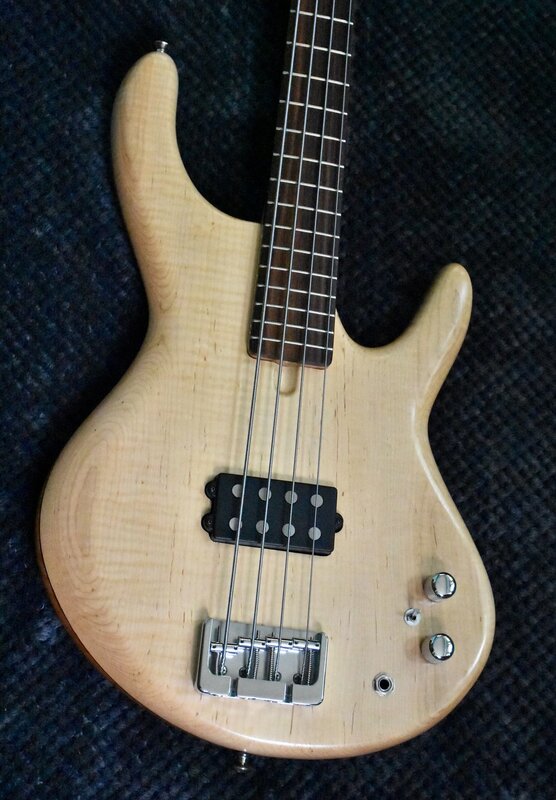 Nordstrand MM 4.2 pickup with Series/Parallel switch. Passive.